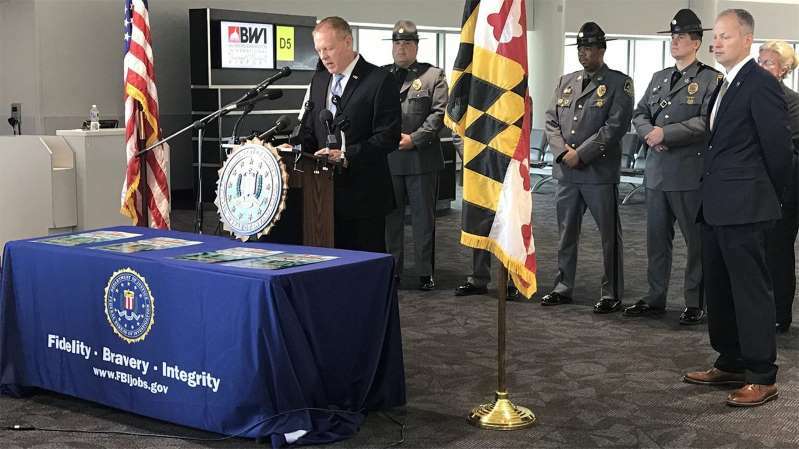 Law enforcement and FBI officials in Maryland gathered at Baltimore-Washington International Marshall Airport on Wednesday to warn travelers of the increasing threat of in-flight sexual assault. During the press conference, David Rodski, an FBI special agent working with the Batlimore-Washington airport, said instances of sexual assault on flights are “increasing … at an alarming rate.” Rodski added that such occurrences are still “statistically rare,” but urged passengers to maintain “situational awareness” and report any inappropriate behavior immediately, SFGate reported. “I’m shocked at the number of passengers who do not take that act and they’ll wait until the plane is on the ground,” Rodski stated, per Baltimore’s WJZ. Rodski added that victims who do not report in-flight sexual assault immediately can hamper the FBI’s efforts to collect statements from witnesses and crew. Wednesday’s press conference follows an FBI press release issued in April that aimed to raise awareness about the increasing threat of sexual assault. According to the bureau’s findings, 2017 saw 63 reported cases of in-flight sexual assault, while 2014 saw just 38. Rodski said Wednesday that he’s seeing similar reports of in-flight assault nationwide, and that the “vast majority” of victims had been sitting in middle seats and window seats “typically towards the back end of the aircraft,” often late at night, per WJZ. Echoing the April report, Rodski added that the seat’s arm rest “is one of your best defenses” against an emboldened predator. The April report also advised passengers to trust their “gut” and stay wary of suspicious passengers; refrain from “knock[ing] yourself out with alcohol or drugs”; and reserve aisle seats for children. Rodski also clarified that in-flight sexual assaults are the FBI’s jurisdiction and issued a message to would-be criminals. “A commercial aircraft in the territorial jurisdiction of the United States is the worst place to conduct any criminal activity because we have you fully identified. There’s nowhere to go on that plane. You can’t open the door, you can’t run when you get off because we’ll be waiting for you,” he said.